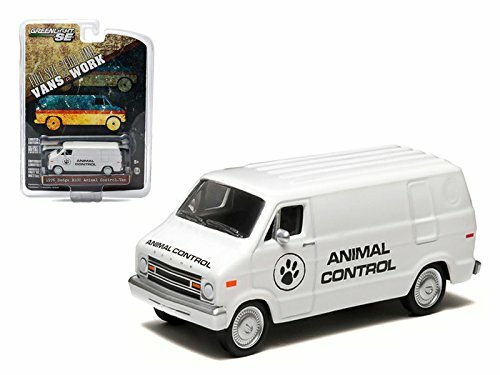 Maisto 1976 Dodge B-100 Van Animal Control Hobby Exclusive 1/64 Car Model by Greenlight by Maisto at Animal Backgrounds. MPN: 11-die2-2334. Hurry! Limited time offer. Offer valid only while supplies last. Limited Edition. Has Rubber Tires. Comes in a blister pack. Detailed Interior, Exterior. Metal Body and Chassis. Officially Licensed Product. Limited Edition. Has Rubber Tires. Comes in a blister pack. Detailed Interior, Exterior. Metal Body and Chassis. Officially Licensed Product. Dimensions Approximately L-2 1/2 Inches Long. Returns must be unopened and in unused brand new condition. If you have any questions about this product by Maisto, contact us by completing and submitting the form below. If you are looking for a specif part number, please include it with your message.